School of Pharmaceutical Sciences, Shoolini University, Solan, Himachal Pradesh, INDIA. Introduction: Ever since ancient times, medicinal plants recognized as major source of therapeutics, as rescue for human diseases and maintain health. There is an exponential increase in usage of green medicines due to less cost and fewer side effects. The family Pinaceae, is largest conifer in species diversity. Pinus is the largest genus of monoecious, resiniferous, evergreen trees commonly known as Pines. Three species of pines occur wild in Indian Himalayas Pinus roxburghii, Pinus wallichiana , Pinus gerardiana. In addition, the constituents present in these plants are beneficial for the purpose of treatment of various ailments. Methods: Information was collected from scientific journals, books, and reports via electronic search tools( Medline, Pubmed etc.) Results: This review summarizes the existing information on three species of Pinus in relation to their pharmacognostic properties, phytochemistry, ethanopharmacology and pharmacological activities. 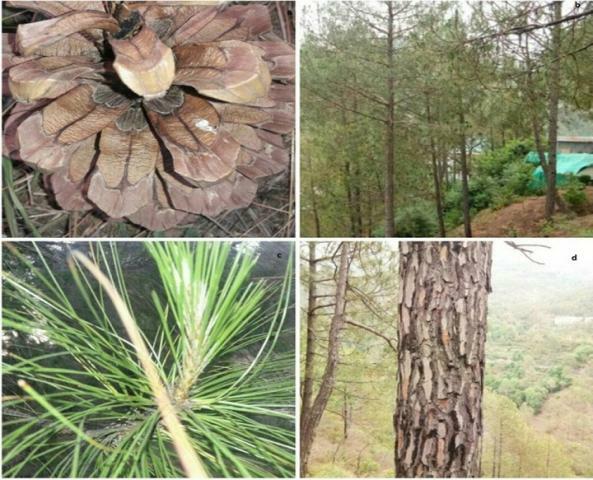 Sharma A, Sharma L, Goyal R. A Review on Himalayan Pine Species: Ethnopharmacological, Phytochemical and Pharmacological Aspects. Pharmacognosy Journal. 2018;10(4):611-619.